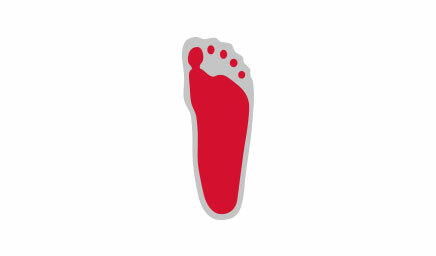 Healthy toes should all be straight and run parallel to one another. 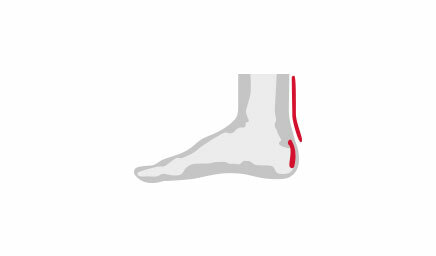 Expressed in simple terms, a tendon runs from the proximal phalanx of the toe to the tip, enabling the toe to be contorted. The hand follows a similar principle in terms of the way in which it is constructed, which can be observed when you bend your fingers. Hallux valgus, on the other hand, is an abnormal change, which causes the big toe to bend towards the other toes. Hallux valgus is the Latin term to describe a bunion, i.e. 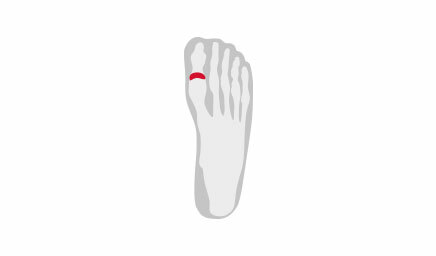 in humans, the large inner toe (hallux) and valgus denotes a deformity in which the distal part of a limb is displaced or twisted away from the midline of the body. A bunion is immediately recognisable: the pointy bone sticks out near the bottom of the big toe, and all the other toes are pushed to one side. 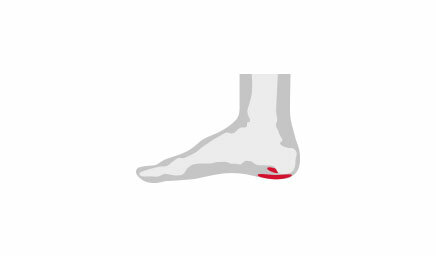 The following describes the painful development of a bunion: the sesamoid bone (a bone embedded within a tendon or a muscle) becomes detached from the proximal phalanx as a result of permanent abnormal strain. The tendon, which normally runs along the metatarsophalangeal joint of the big toe, becomes detached and contracts in size, pulling the big toe towards the outside of the foot. 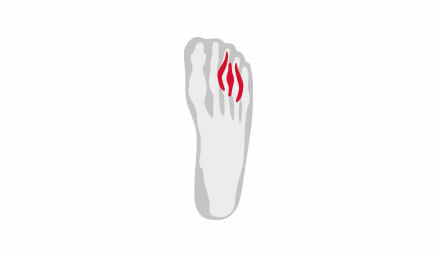 (The proximal phalanx of the big toe is the invisible bone which is at the base of the big toe). Nowadays, it is generally assumed that genetic predisposition plays a major role in the development of a bunion. Consequently, if your mother or grandmothers had bunions, it is quite likely that you may develop one too. However, there is usually something that actually triggers it. The typical pattern of this illness is that the big toe becomes bent in the initial stage; and no pain is suffered. 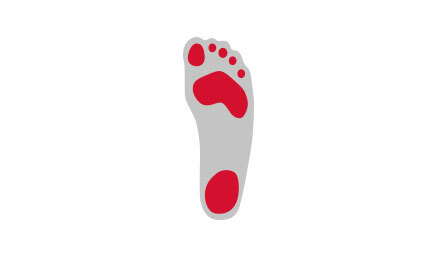 The big toe then becomes increasingly deformed, and the first signs of pain are felt in the midfoot and a slightly pronounced formation of ball takes place on the inside of the foot at the base of the big toe. The picture deteriorates rapidly during the third stage. The extensor hallucis longus (tendon to the big toe) becomes detached and hammer-toes and claw toes are the result. The toes start to point in different directions, and there is a disproportionate increase in pain. As soon as you notice the foot becoming deformed, you should do something to stop it. We would recommend contacting an orthopaedist. If your family is predisposed towards bunions, then care should be taken not wear high-heeled shoes very often. High heels should be included on your blacklist. Moreover, you should only wear shoes offering adequate space, especially at the toes. 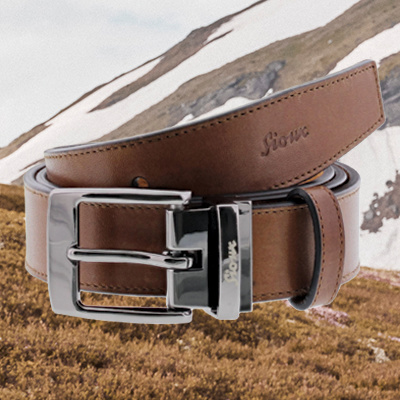 Ensure you choose a soft leather and avoid chafe marks such as seams in the area around the forefoot. There is no effective method to avoid a bunion in the narrower sense. However, as a bunion always stems from a splay-foot, this the first stages of prevention can be carried out during this stage. Let’s be realistic here: the therapeutic options for treating a bunion if it has already reached stage 3 are, unfortunately, exceedingly limited. We would suggest contacting a doctor at the earliest opportunity at the first signs of a bunion developing. You can try using inlays as well as physiotherapy and special exercises in order to counteract the signs of any deterioration. In later stages, it is simply a question of getting accustomed to living with the bunion, and buying appropriate shoes (no high heels) which do not have any seams in the forefoot. An alternative solution is to undergo an operation. Having said this, having a bunion operated on is not a trivial affair, and it is basically a matter of personal preference as to which avenue to go down. There are shoes in the Sioux range which are ideal for people suffering from bunions. There is no reason why a shoe, which is ideal for people suffering from bunions, must be unfashionable.